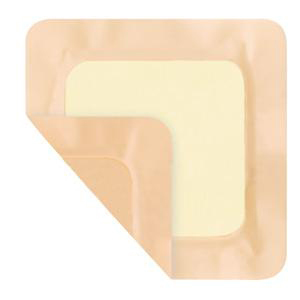 Derma Sciences xtrasorb non-adhesive foam dressing absorbs and retains more moisture as compared to the market leading competitive dressings thus increasing the time between dressing changes while reducing the risk of maceration and exposure to the harmful components within wound fluid. The dressings are designed to improve patient care and deliver optimal, clinical efficiency. Additionally these dressings come in a variety of formats and sizes. Utilizes the same, high-tensile, strength gelling, super absorbent polymer technology. Locks wound fluid away from the wound and surrounding skin. SAP layer provides additional cushioning and pressure redistribution. Comprised of a standard, highly absorptive, hydrophilic polyurethane foam with a patented, super absorbent polymer sheet fused to the back of the foam.